Dextero Tires are made by Giti, a global tire company based in Singapore. The tires are sold exclusively at Walmart. Giti broke ground on a new U.S. based factory in South Carolina, scheduled to be operational in 2017. An inspection of a Dextero DHT2 sidewall DOT code shows that particular tire (manufactured in mid-2014) was manufactured by a Giti factory in Fujian, China. They currently feature two tire models, the Touring All-Season DTR1 and the Highway All-season DHT2 for light trucks (LT) and SUV/CUVs. 4.6 out of 5 based on 187 user ratings as of 2/13/17. The Dextero DTR1 comes in 30 sizes between 14-18". It also features a somewhat low 45k mile warranty, but for the price, we think this is very reasonable. If you're just looking for a basic passenger/touring tire, the DTR1 may fit the bill. 4.4 out of 5 based on 180 user ratings as of 2/13/17. Dextero has a 50k mile warranty on this LT/SUV/CUV tire, which has excellent reviews for the price. If you're looking for a better rated tire for trucks and SUVs, we would look at the General Grabber line of tires, which have consumer ratings of 4.6 and higher. 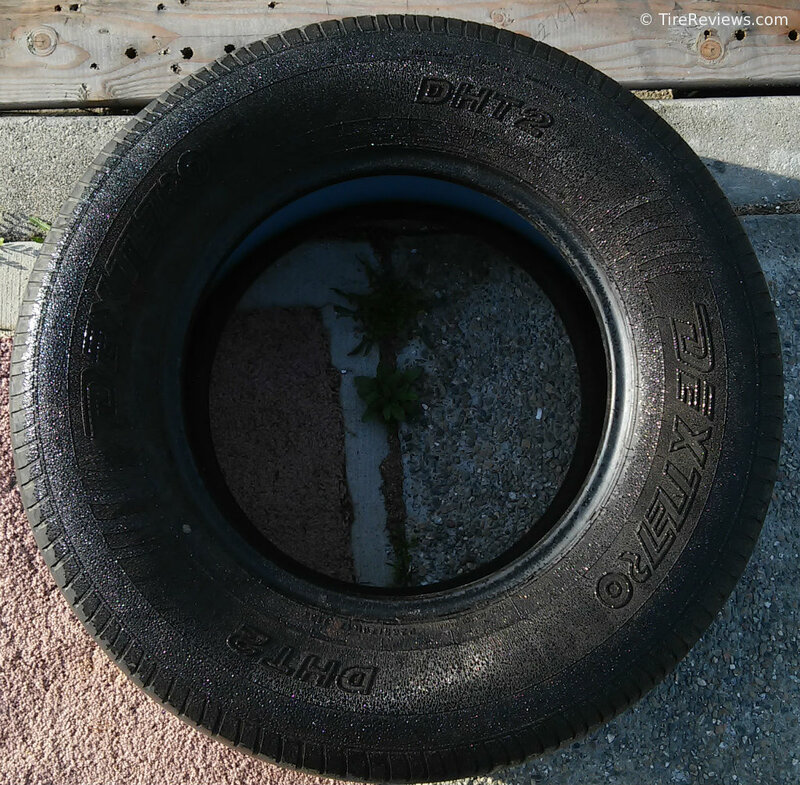 Pictured below is an unmounted Dextero DHT2 tire.